Our children are bombarded daily with competing messages. Every song, movie, book, TV show, blog, and game is full of ideas - ideas about God, people, truth, beauty, and right and wrong. Not all of these ideas are true. Some are deceptive and even destructive. The What We Believe series helps children learn to discern the truth by using God's Word as a lens through which to view the world around them - to see everything the way God sees it. This is the second book in a four-part study. Finally! Apologia introduces an elementary level Anatomy book that gives glory to God as children discover what's going on inside their bodies! 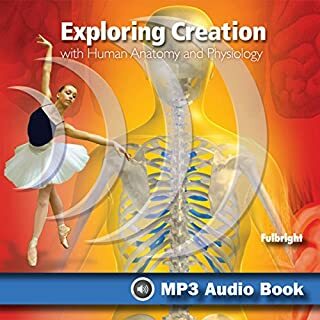 Take this in-depth journey into the anatomy and physiology of your body through Exploring Creation with Human Anatomy and Physiology by Jeannie Fulbright and pediatrician Brooke Ryan, M.D. From the brain in your head to the nails on your toes, you and your students will encounter fascinating facts, engaging activities, intriguing experiments, and loads of fun as you learn about the human body and how to keep it working well. Very enjoyable way to learn! This study will encourage kids to develop a Christlike servant attitude based on these biblical truths: God created me to be a blessing to the world; God chooses to work through me; I can make a difference at home, in my community, and at church; the church is God's family; the church is one body with many gifts; and I am an important member of Jesus' body. 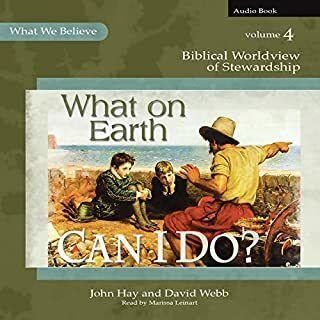 The fourth installment in the What We Believe series helps children understand what it means to be a "[G]ood and faithful servant" of God (Matthew 25:23). This study will help them choose to put God first in every area of their lives based on biblical truths. The perfect accompaniment to the textbook for students who are auditory learners or have reading challenges. 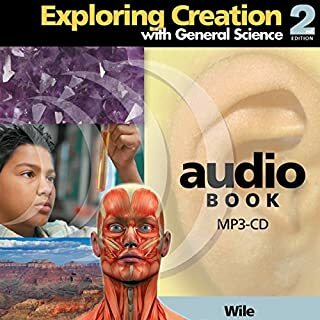 This audiobook contains an audio recording of the text and "On Your Own" questions for the course Exploring Creation with General Science, second edition. "On Your Own" answers, study guide questions and answers, tests, and test solutions are not included. 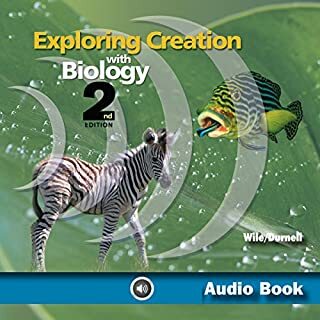 Apologia Educational Ministries, Inc. is proud to present the second edition of its Exploring Creation With Biology course. The first edition has been used by thousands of students in all 50 states and 13 other countries. Now, this award-winning biology course will get even better! This course is designed to be the student's first high school science course and is a college-prep biology course that provides a detailed introduction to the methods and concepts of general biology. Excellent accompaniment to College Prep text! This course is designed to be the last science course the student takes before high school biology. The course discusses such topics as the atmosphere, the hydrosphere, weather, the structure of the Earth, environmentalism, the physics of motion, Newton's Laws, gravity, and astrophysics. There are many hands-on experiments to do, and they all use household chemicals and supplies. This college-prep physics course is designed for the student who has completed algebra and has had an introduction to the definitions of sine, cosine, and tangent. It provides a detailed introduction to the methods and concepts of general physics. Heavily emphasizing vector analysis, this text is ideal preparation for a university-level physics course. It provides the student with a strong background in one-dimensional and two-dimensional motion, Newton's laws and their application, gravity, and more. Our children are bombarded daily with competing messages. Every song, movie, book, TV show, blog, and game is full of ideas - ideas about God, people, truth, beauty, and right and wrong. Not all of these ideas are true. Some are deceptive and even destructive. 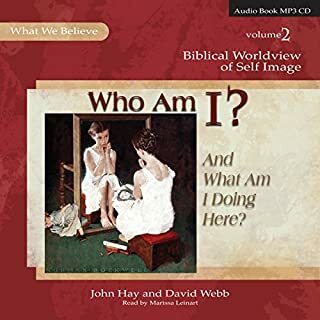 The What We Believe series helps children learn to discern the truth by using God's Word as a lens through which to view the world around them - to see everything the way God sees it. Easy to use for the whole family, this is the first book in a four-part study that introduces young people, ages 6-14, to the basic truths of the Christian faith. Through engaging stories, creative notebooking, and fun activities, they will come to know and trust our loving God while building an unshakable faith to last a lifetime. 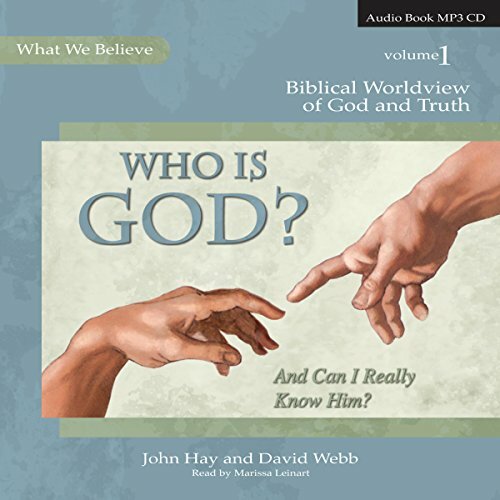 Would you listen to Who Is God? (And Can I Really Know Him?) again? Why? Did Marissa Leinart do a good job differentiating all the characters? How? She was the main narrator, but there were kids and others with small roles. There are several things that should be changed. It is wonderful if you are following along with the book and listening at the same time. I listen to it in the car with my children, and this is problematic. 1. The audio is rushed. For example, when questions are asked that require a response, pause just a bit to give time for the parent to stop the playback. That is just one area. There are many times like that where there is not time to really think about anything or even time to pause before the narrator goes on to the next sentence or topic. There's hardly time to realize that a new section has been entered. Like a long run on paragraph when in fact there are several sections. There are also Bible verses being read, but again, they are just bundled so fast into whatever is bracketing them, that there is no time to pause or reflect. 2. The quality is tinny in places and hard to hear. There are times when music is being played in the background while the narrator is reading, and you must strain your ears to hear what is being said. I have tried to adjust this by using 'spoken word' or 'vocal booster', but it hasn't seemed to work. 3. This is a sad part but needs to be said. There is a young man who plays a part in the short stories in the book. His story reading is not good. It is very mechanical, slow, and distracting. There is also a short story where the characters have evil voices and other accents and it is so poorly done that you cannot understand what is being said. Besides all that, this book is really wonderful. I love the way it teaches anyone to stand on the Rock-God's Word. For that reason alone, we will power through all the audio issues. So, as car ride material, this is not a great option. To use for younger children or others who can't read well or on their own, this is a fantastic resource. You really should have the book and follow along or you will miss too much. 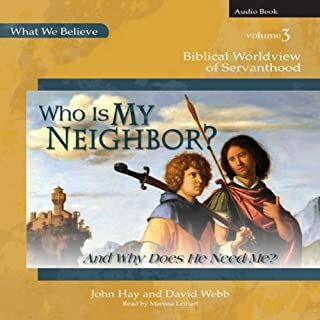 I chose to get the Audible version of this book to assist my children as they use the hardback book for their Christian Studies class. We all love the book and the material it covers. However, the narrator makes this book painful to listen to. I really wanted to like her, but the more we listened the more we just wanted to turn the speakers off.